Well here we are at Part 6 of the S160 liveries. 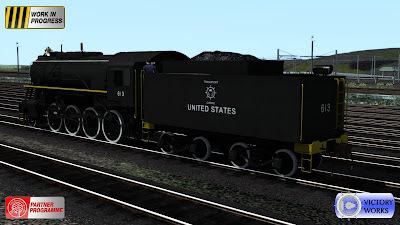 This is another US livery used by some of the S160's that remained in the States after WW2 and were used by the military. 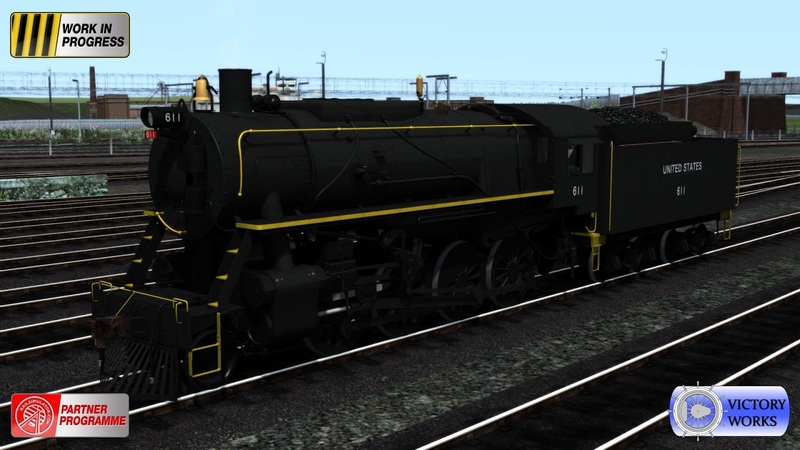 These are very much WIP images as we have recently been given some excellent reference pictures of this livery that we hadn't previously seen so the locomotives will receive another pass as we check all of the detailing. As with the ARR locomotives there a few variations to this livery - colours, logos, etc - and we have added options for many of these including: chimneys, whistles, Westinghouse location, pilots (cow-catcher in yellow or black, or snow plough), front steps, bell location, hand rail colours and white wall wheels. Next time we'll head back to Europe where there are two more liveries to cover, and then of course we need to start taking a look at all of the rolling stock, which might take a few blog posts in itself! Do you have an estimation of the release date yet? We don't. We have an idea of when we'll have it ready for testing (which is quite soon), however once it's in the hands of others then it's really an unknown. 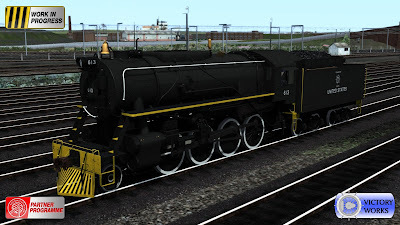 I am very excited for the S160 locomotives! I do have a question though, will all the S160s come in one huge pack, or do you plan to sell an individual UK pack and an individual USA pack, and then make the additional versions available for purchase on the Steam Marketplace? We're still looking at options but we would prefer one huge pack with everything for everyone. Thank you. I am excited to get these engines! Is there any projected date for when these engines will be coming out?